This is the way I perceived the review process when I submitted a research proposal to NWO. I Imagined a large, brown table with about seven professors, old and grumpy, complaining in a loud voice about the future of the social sciences. On the table is a pile of top quality proposals, the result of months of work from ambitious young scholars from around the Netherlands. Then the evil professors quickly skim the texts to look at the names of the supervisors, and divide the grants among people that are from their own university. They are finished within 10 minutes, after which they start drinking another cup of black coffee. 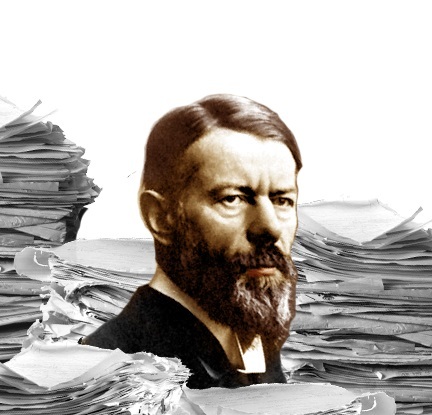 “Hence academic life is a mad hazard”, as Max Weber noticed a century ago. Your chances depend on who you know and who your supervisor knows, not so much on what your qualities are. Inequality grows bigger and bigger. We have to fund our research with grants, and to successfully apply for grants you have to have had grants in the past. So we continue playing the gambling game, as David Passenier recently pointed out, without knowing what happens in the black box of the reviewing process. My picture on this black box completely changed during a PhD course on proposal writing. Aart Liefbroer, professor in demographics and experienced in reviewing all kinds of applications, delivered a guest lecture on the NWO reviewing process. He explained the reviewing process in the case of VENI proposals, the NWO grants for research after PhD graduation. First, there is a selection of proposals by an internal committee based on track record, quality, innovation, scientific impact and valorization. Second, the selected proposals are sent to two or three external reviewers, both in the Netherlands and abroad, who have to answer a large number of questions on different aspects on the quality, originality and feasibility of the research design. Third, applicants are given the possibility to write a 1000 words rebuttal on the comments of the reviewers. Fourth, members of the selection committee write a pre-report based on the proposal, the reviews and the rebuttal. All committee members give a score on each proposal, the scores are averaged and the committee derives a selection. Fifth, the selected applicants are invited for an interview, in which they have the opportunity to present their proposal and react on questions posed by the committee. Sixth, the committee once again grades each proposal, the scores are averaged and the committee decides on the final selection. Are you still there? Quite a procedure, isn’t it? The most intriguing message of Liefbroer’s talk, at least to me, was that the committee almost always reaches consensus. From the beginning it’s quite clear which proposals are the best, and this picture doesn’t really change during the process. This is the moment when I realized that there is probably too much time spent on proposal selection, instead of too little. 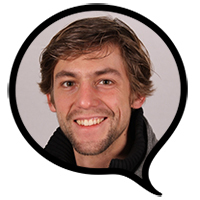 Your proposal should be better than perfect, Liefbroer stressed. That’s the message I took away. Submitting proposals is no gambling, so don’t gamble. Do whatever you can do to convince reviewers and the committee. Make sure there is no little aspect of the proposal that can cause any doubts, because any doubt is a reason for rejection. That’s what I do now in every application. When I believe some argumentation is ‘good enough’, I rewrite it to make it perfect. Of course committee members and reviewers have their preferences, and of course they are biased because they know some of the applicants. But I changed my mind about the evil old professors behind a table deciding on my academic future in a split second and on questionable grounds. The reviewing processes is quite reliable and thorough – maybe inefficiently thorough – and it’s up to yourself to make sure that there aren’t any weaknesses in your proposal. My research proposal wasn’t granted, by the way. And I still believe it’s not fair.